David Dickson (c 1583-1662) was a graduate of the University, a regent and the first Professor of Divinity, from 1640 to 1650. 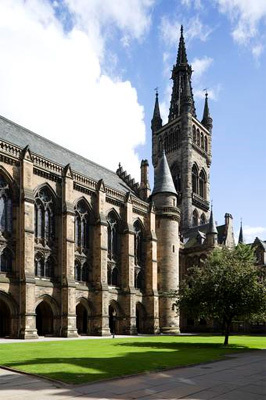 The son of a Glasgow merchant, Dickson graduated MA from the University in 1609 and was a regent from 1610 until 1618, when he became a minister in Irvine. A prominent Presbyterian reformer, he was Moderator of the General Assembly of the Church of Scotland in 1639 and served as a chaplain with an Ayrshire regiment during the First Bishop's War. Dickson was appointed to the Chair of Divinity in 1640 and Robert Baillie was appointed as a second Professor of Divinity two years later. During his ten years in Glasgow, Dickson continued to act as a leader of the radical wing of the Kirk. In 1645 he published a commentary on St Paul's epistles and in 1647 A Brief Exposition of the Gospel According to Matthew. He was translated to the Chair of Divinity at the University of Edinburgh in 1650. Dickson was Moderator of the General Assembly once more in 1652 and continued to play a prominent role in the direction of the Kirk during the upheavals of that decade. He was ejected from his Chair after the Restoration for refusing to take the Oath of Supremacy, and died in December 1662.